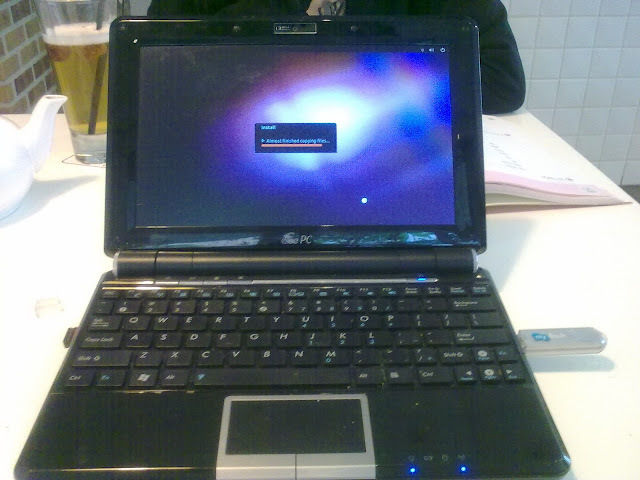 Helped a friend installing Linux on his Asus EEE PC 1000HE. At first, the machine would not boot from my USB stick, even after changing boot device priority. This problem was solved by further configuring hard disk drives. 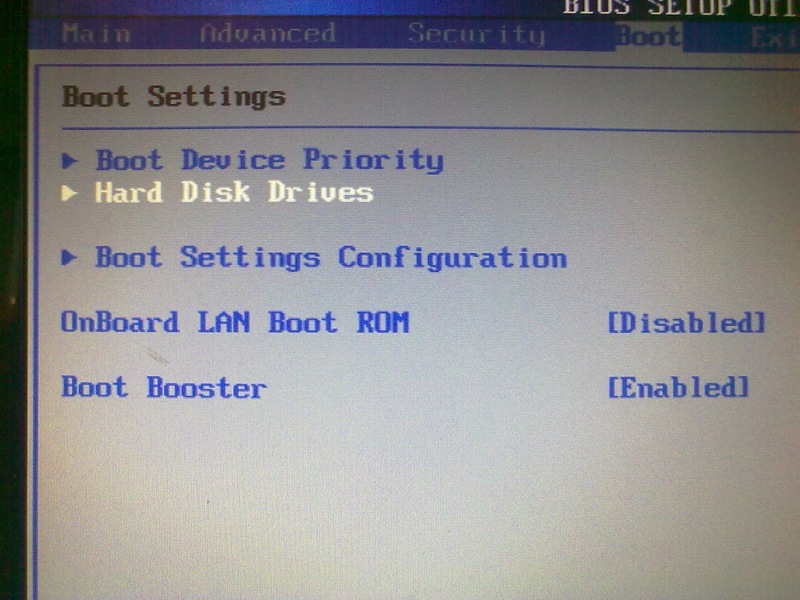 You need to set the USB device as the first hard drive. 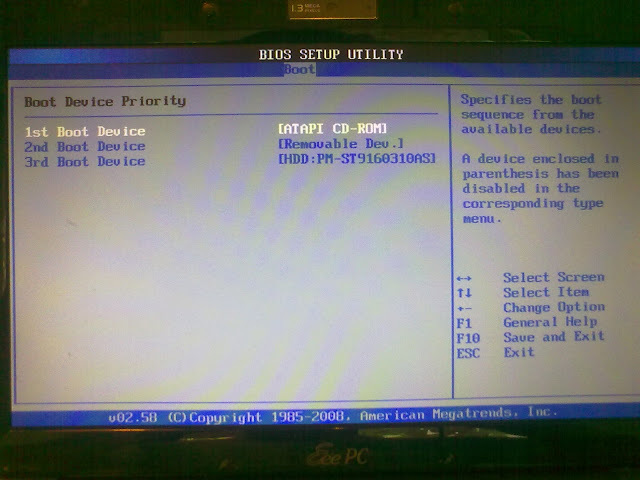 In addition, this configuration can only be made if you have the USB device plugged onto the machine before power on. 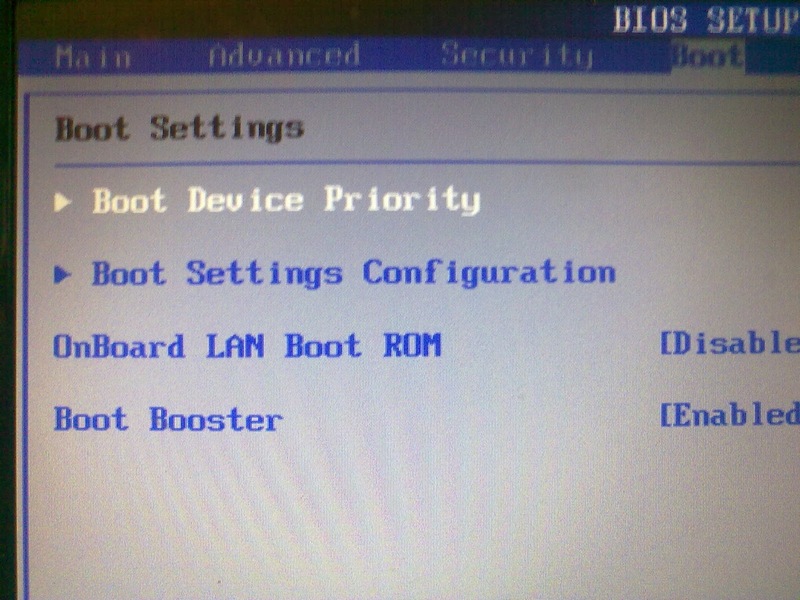 In above picture, notice the second item is "Boot Settings Configuration." The option "Hard Disk Drives" is missing because I did not have the USB stick plugged in before power on. 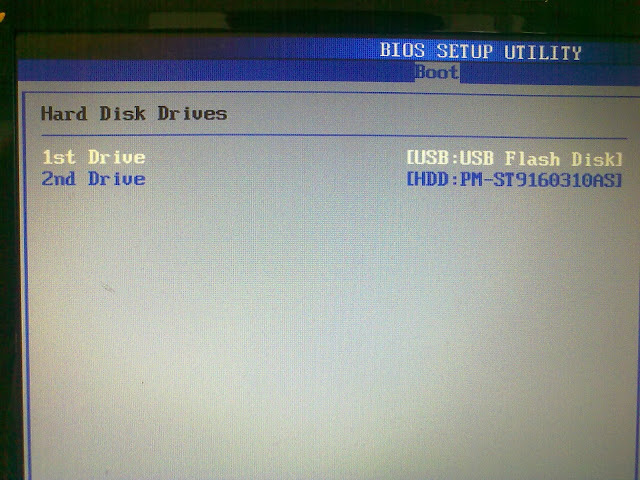 The choice of installation media for this particular installation was a USB stick created with a Remastersys image.